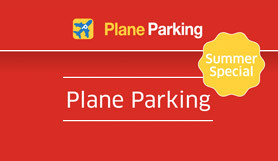 Plane Parking offer secure, safe and convenient parking at the airport. For a limited amount of time Edinburgh airport are offering a complimentary upgrade to their Long Stay product by booking Plane Parking. Park up, keep your own keys on go on on your trip knowing exactly where your car is parked. Parking bays for Blue Badge holders are available by the exit, adjacent to customer services office. Wheelchair access There is no requirement to hand your keys in. Please go to the Long Stay Car Park at Edinburgh Airport. At the entry barrier, press the button on the ticket machine. The system will validate your booking and print a ticket. If there are any issues use the intercom and our staff will help you out. After you have parked, please make a note of the zone, and catch the free bus from the nearest bus stop. Please ensure you retain your ticket for exit from the car park. To exit the car park, drive up the barrier and insert your ticket. The system will check your details and the barrier will open. To exit the car park, drive up the barrier and insert your ticket and quote your booking number. The system will check your details and the barrier will open. After leaving the A8 at Edinburgh Airport, follow the signs for the Airport until you get to the roundabout with the Hilton Hotel. You should then turn right, following the big orange Long Stay sign.